Oh local artists, dare to dream! I don’t really buy into the notion that everyone dreams of being a rock star, yet far too many local artists seem to see themselves this way. 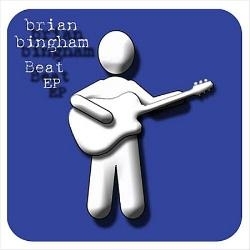 Local singer/songwriter Brian Bingham seems to have been bitten by this grand illusion bug and instead of simply singing in his own voice, does that very annoying American Idol audition trick where he tries to sing as though someone else. The results (just like they are on that show) are disastrous: he seems to be imitating a number of frontmen including Chris Daughtry, Dave Matthews and John Mayer, to name just three, but comes across as nasally and strained. Fortunately, this is just an EP containing 4 tracks—I really couldn’t stomach an entire album. Bingham’s songwriting is rather generic and his lyrics possess a banality (especially in their choruses) that would be best not published on his website. They are unintentionally hilarious in places, like on “Missed Our Chance” where he confesses: “I’ve wasted so much time with wasters.” If we are to believe him in the predictably boring “Life Worth Living” that “it’s me inside whose voice is singing out loud,” and that voice is the imitation one mentioned above then we’re all in trouble.